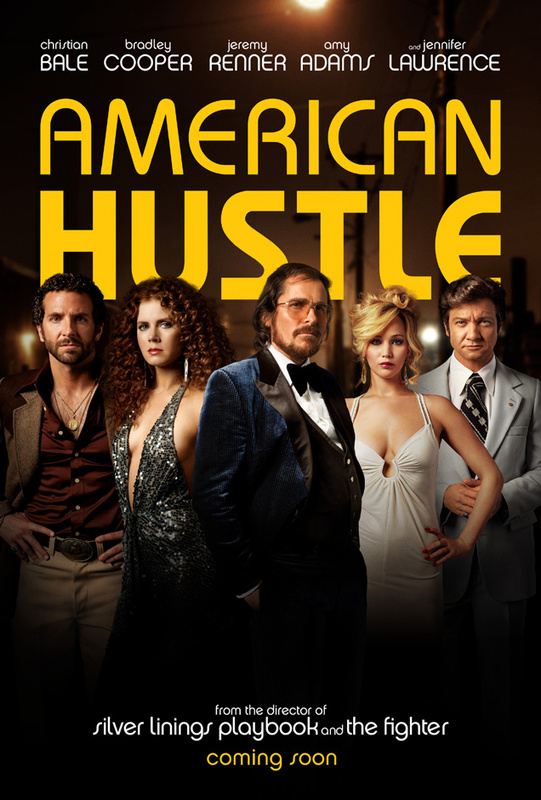 American Hustle is a 2013 American black comedy crime film inspired by the FBI ABSCAM operation of the late 1970s and early 1980s. It stars Christian Bale and Amy Adams as two con artists who are forced by an FBI agent to set up an elaborate sting operation on corrupt politicians. The font used for the film title in the poster is ITC Bauhaus Medium/Demi. Herbert Bayer of the Bauhaus School in Dessau, Germany, designed the inspiration for ITC Bauhaus, known as the Universal typeface, while he was teaching there in 1925. Ed Benguiat and Vic Caruso redrew the typeface in 1975. ITC Bauhaus is a rounded sans serif design whose forms were developed from the straight edge and compass. In addition to American Hustle, Bauhaus typeface is also used in the following logos, movie posters or album covers etc., including: Cardinology, Pretty Lights, Honey, WWE Legends’ House, Nintendo Land, East of the River Nile, My Own Way, Euphoria, Utopia Or Oblivion, American Swing, The Lost Number, Post Tenebras Lux, Terkel in Trouble.